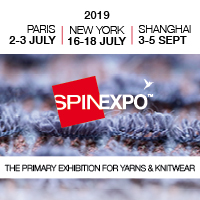 Leading computerised knitting machine manufacturer Shima Seiki, of Wakayama, together with its Hong Kong subsidiary Shima Seiki (Hong Kong), will participate in the autumn edition of the China International Knitting Fair (PH Value 2018 AW) exhibition in Shanghai, China this month. This is the first time Shima Seiki will be showing at PH Value. As a trade promotion and business-to-business platform for the Chinese knitting industry, PH Value offers an opportunity for Shima Seiki to reach out to apparel manufacturers, retailers, merchandisers as well as ecommerce businesses in the Chinese fashion value chain. “With increasing wages and shortage in labour, as well as tremendous growth in ecommerce, textiles supply chain requirements in China have changed significantly in recent years. With growing interest in short turnaround, labour savings and mass customisation, Shima Seiki’s advanced flat knitting technology is considered more than ever to be the ideal solution to current and future Chinese market needs,” the manufacturer reports. At PH Value, the latest version of the APEX3 design system will be on display. At the core of the company’s Total Fashion System concept, APEX3 provides support throughout the production supply chain, integrating production into one smooth and efficient workflow from yarn development, product planning and design to production and even sales promotion.